As soon as visitors approach the impressive Marlborough House, they cannot help but feel a sense of its great presence. 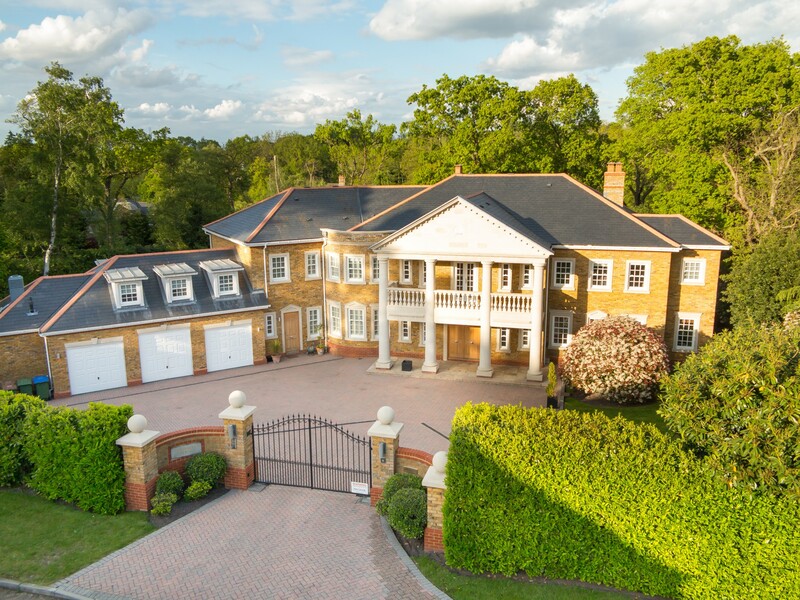 Set on the prestigious Crown Estate, behind elegant wrought-iron gates, it exudes country house splendour as well as a sense of friendly welcome. 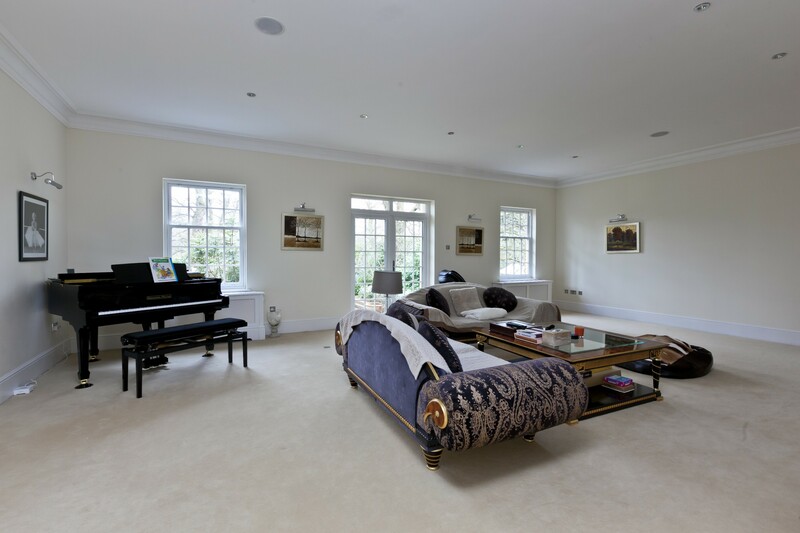 Marlborough House is a handsome and contemporary family home built in 2000. The property is set on a plot of approximately 0.7 acres, and offers in excess of 8200sq ft of flexible and versatile accommodation. 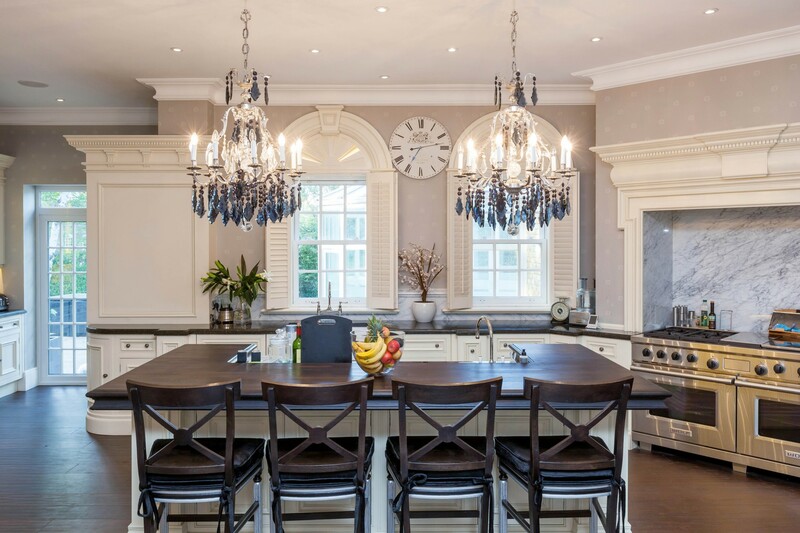 There are six bedrooms, five bathrooms/en-suites, a stunning open plan Clive Christian bespoke kitchen breakfast family room, and a spacious drawing room. 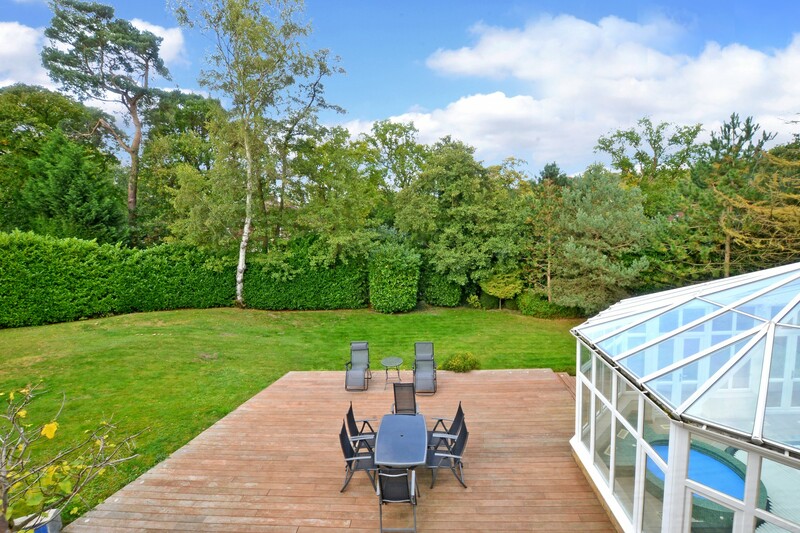 The annexe above the triple garage is perfect for an au-pair or nanny, and the indoor swimming pool complex with sauna room and jacuzzi provide excellent leisure options. 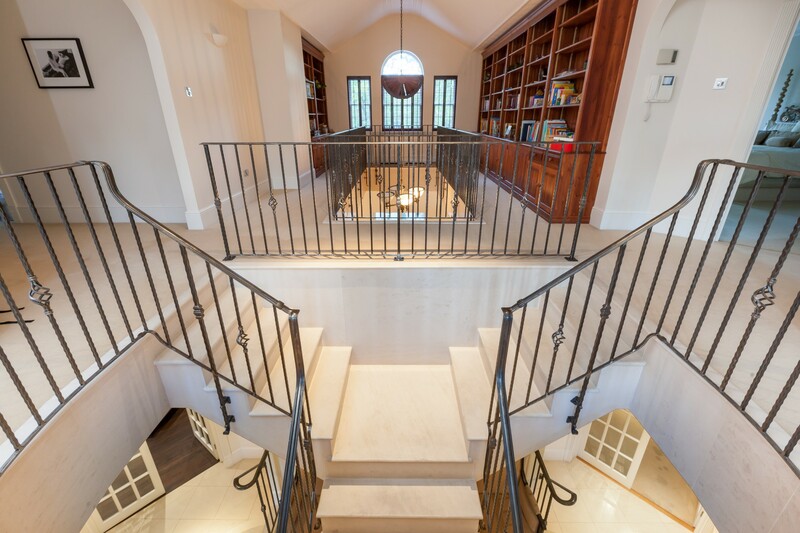 A fantastic feature of this house is the galleried library on the first floor. 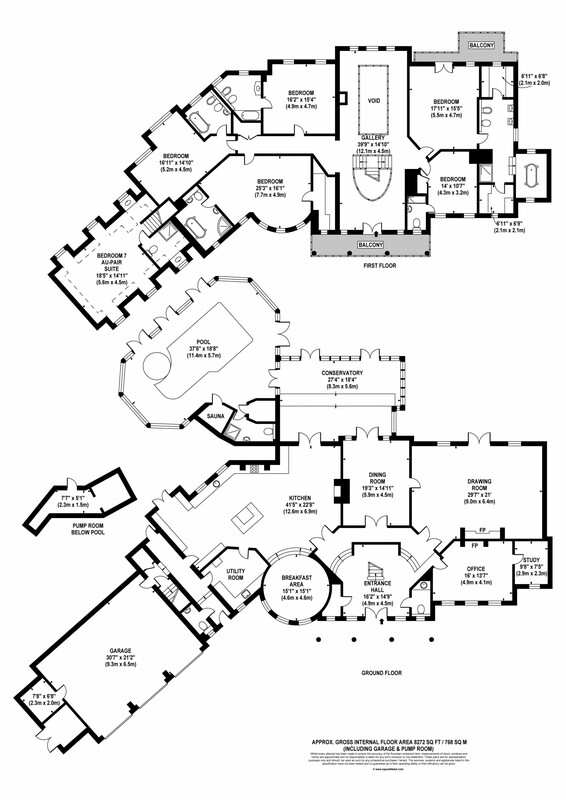 There is also a balcony to the front of the house. 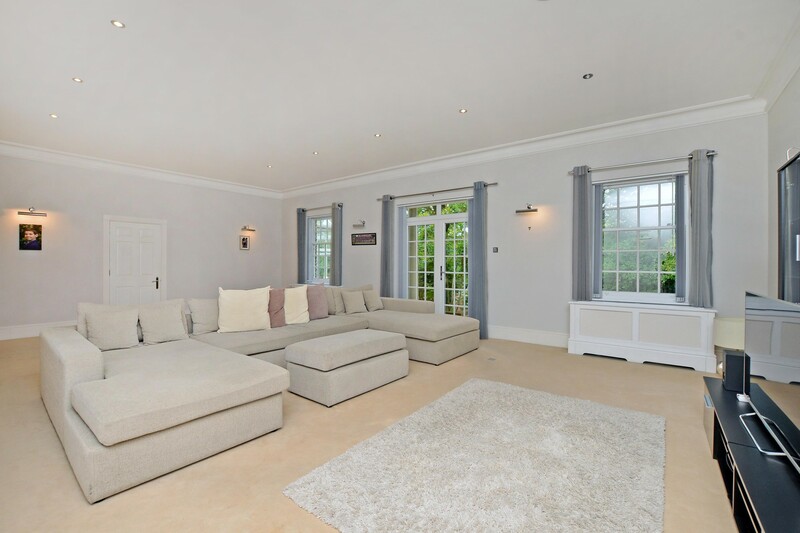 The first floor comprises of a generously sized master bedroom with en-suite and dressing room with a balcony leading off the bedroom overlooking the gardens, and then 4 further bedroom suites on this level, as well as the bedroom suite above the garage. 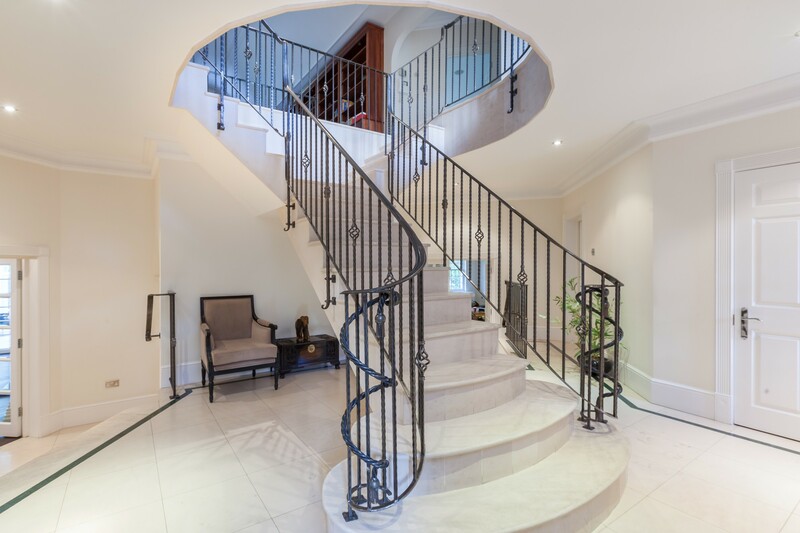 A stylish decor has created a welcoming and comfortable atmosphere throughout, and both upstairs and downstairs accommodation is well proportioned, light, and very much suited to modern family living. 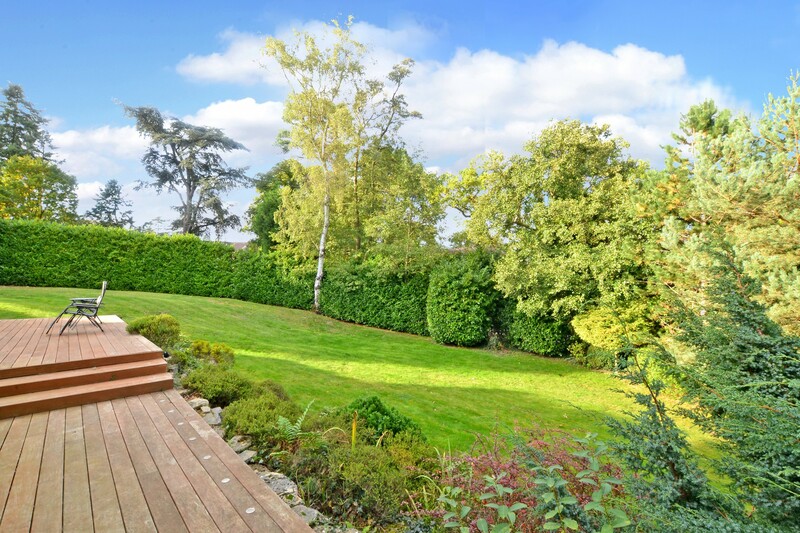 The outdoors space is excellent for family activities and could really come into its own for summer or evening entertaining thanks to the high quality decked area. The property is offered with no onward chain. 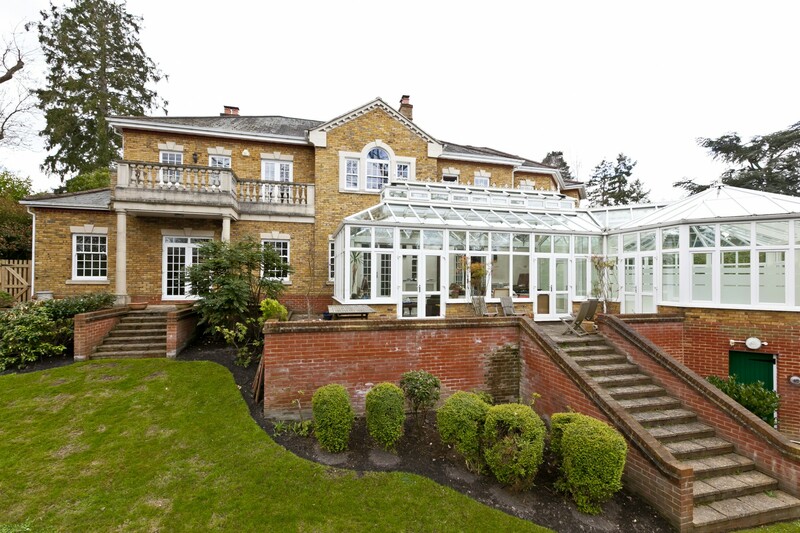 This property is a magnificent family home and it has everything new occupants could want from a select Surrey property. 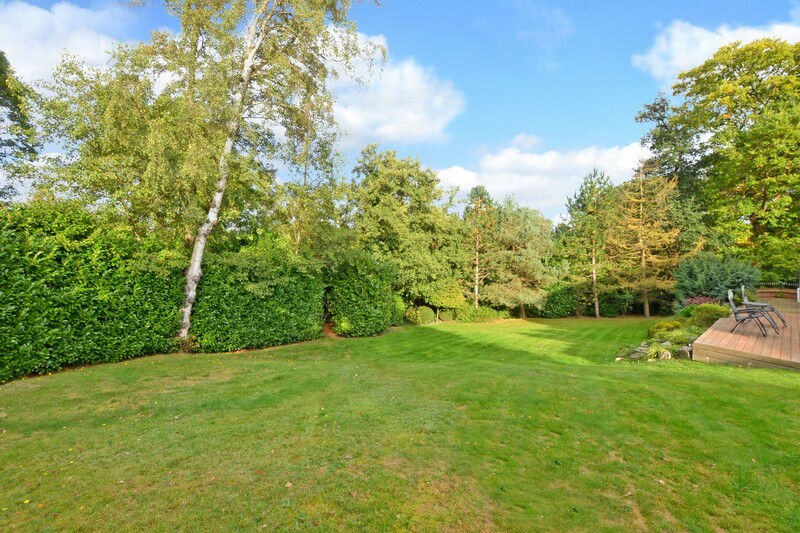 The owner states for someone seeking to move on to the celebrated Crown Estate, which is known for its substantial, high value homes and its celebrity residents, this could be a fantastic place to live. There is ample parking to the front on the brick paved driveway as well as triple garaging with staff accommodation above. 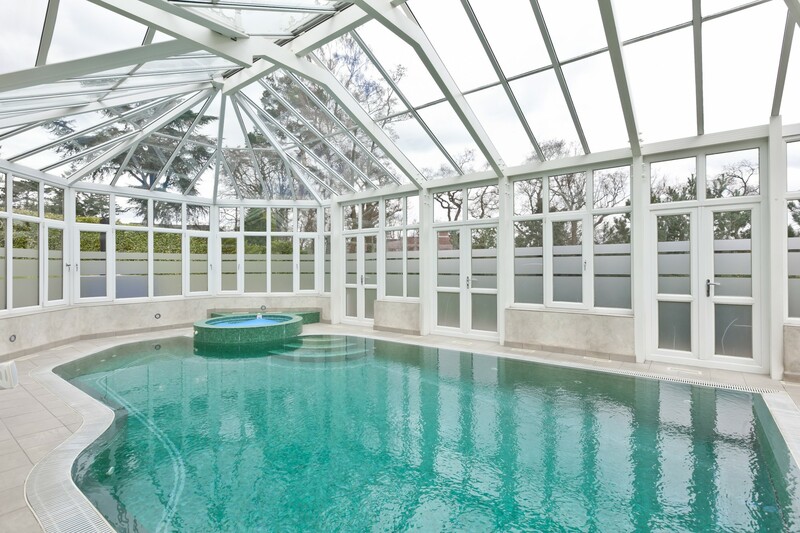 To the rear is a conservatory and indoor pool with sauna and jacuzzi overlooking the mature landscaped gardens. It is ready to move into but could certainly be embellished by new owners wishing to put their own stamp on the property. 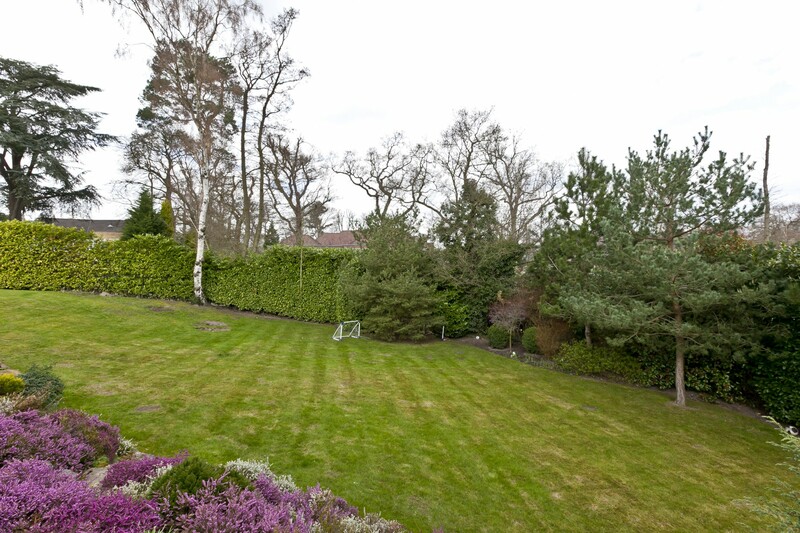 Location, the property is located in the exclusive Crown Estate in Oxshott. 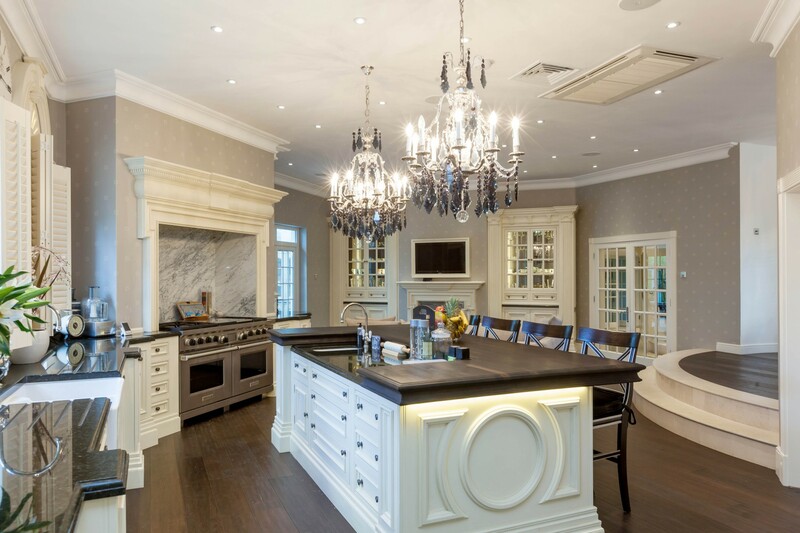 The village shops and Oxshott Station are under a 5-minute drive away, and in nearby Cobham and Esher a broader variety of restaurants, designer boutiques and supermarkets are available. 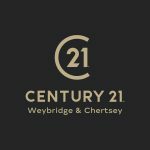 More high street retailers can be found in neighbouring Kingston-upon-Thames or Guildford. Sandown Racecourse can be found in Esher, and golf enthusiasts are spoilt for choice with several renowned courses nearby. 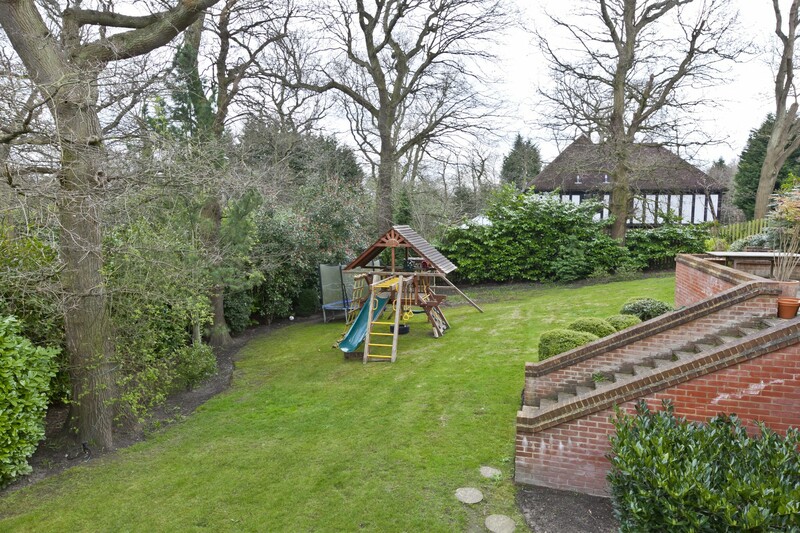 Residents have easy access to excellent schools such as Danes Hill in Oxshott, ACS International School and Reed's in Cobham and Claremont Fan Court School in Esher. Under the Consumer Protection Act 1987 we endeavour to make our sales details accurate and reliable but they should not be relied upon as statements or representations of fact and they do not constitute any part of an offer of contract. The seller does not make any representations to give any warranty in relation to the property and we have no authority to do so on behalf of the seller. Services, fittings and equipment referred to in the sales details have not been tested (unless otherwise stated) and no warranty can be given as to their condition. We strongly recommend that all the information which we provide about the property is verified by yourself or your advisers. Under the Estate Agency Act 1991 you will be required to give us financial information in order to verify your financial position before we can recommend any offer to the vendor.